Herbert Smith Freehills has issued the latest edition of its Indian international arbitration e-bulletin. Since our previous report on the Delhi High Court refusing to uphold an arbitration clause that provided for the tribunal to be comprised of one party’s employees or retired employees, there have been several cases which have provided useful guidance in relation to the appointment of arbitrators under the new provisions in the Arbitration and Conciliation (Amendment) Act 2015, which came into force on 23 October 2015 and amended the Arbitration and Conciliation Act 1996 (“Amended Act“). The Amended Act applies to arbitration agreements which pre-date the amendments. The provisions of the Amended Act dealing with independence of arbitrators do not prohibit the appointment of former employees. Nonetheless, it is still important for there to be no doubts in relation to the neutrality, impartiality and independence of the arbitral tribunal. Therefore, where a party has a contractual right to compose a list or panel from which the other parties are to select an arbitrator, a ‘broad based’ approach must be adopted. The Courts have adopted a narrow definition of what constitutes an employee, and therefore all government employees are not automatically ineligible to be appointed as an arbitrator where one of the parties is a government body. If an ineligible person (e.g. an employee) was nominated as an arbitrator in the arbitration agreement but is now ineligible as a consequence of the Act, that person cannot nominate another independent arbitrator, notwithstanding what the agreement might provide. In GMR Energy Limited v. Doosan Power Systems India Private Limited, the Delhi High Court confirmed that two Indian parties can contract to have a foreign seat of arbitration (in this case, Singapore), and also ruled that a non-party to the Arbitration Agreement could be made part of the arbitral proceedings on the grounds that it acted as an alter ego to the contracting party. Pursuant to Prime Minister Modi’s push to grow India as an international arbitration hub and the push for institutional arbitration in India (see here and here), the opening of the SIAC’s second representative office is a welcome development in the Indian arbitration landscape. Herbert Smith Freehills has issued the latest edition of its Indian international arbitration e-bulletin. In this issue we will consider Indian court decisions, including the arbitrability of allegations of fraud and non-arbitrability of trust disputes by the Supreme Court. We have also considered various decisions in which the Delhi High court shows restraint in relation to interfering with offshore arbitrations, while also making decisions that demonstrate the observance of formalities by the court which could be construed as not pro-arbitration, including refusing to enforce an arbitration clause in an unsigned agreement. In other news, we consider the rise of institutional arbitration in India and India-related bilateral investment treaty news. Further, we discuss the imminent launch of a new edition of our Guide on India-Related Contracts Dispute Resolution. 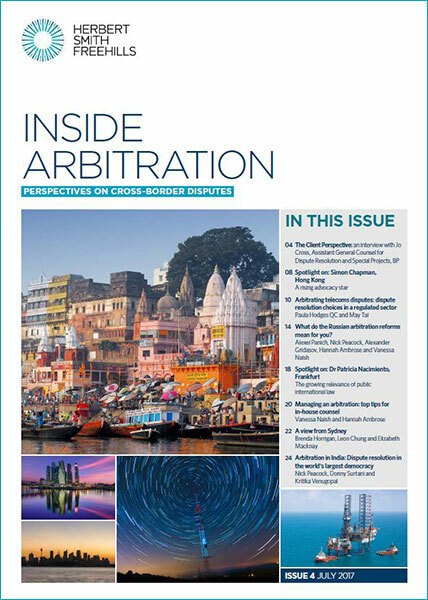 We are delighted to share with you the latest issue of the publication from Herbert Smith Freehills’ Global Arbitration Practice, Inside Arbitration. Two recent judgments from the Delhi High Court affirm the court's pro-enforcement stance on foreign arbitral awards and offer welcome guidance on the exit rights of foreign investors in Indian companies, an important subject for many companies looking to invest in India. In the dispute between Tata Sons and Tata Teleservices ("Tata") and NTT Docomo Inc ("Docomo"), the court ruled that the Reserve Bank of India did not have standing to prevent enforcement of a foreign award between two private parties on grounds of Indian public policy. In a similar case (Cruz City 1 Mauritius Holdings v Unitech Limited), the court dismissed a challenge to enforcement by an award debtor arguing that a foreign award was contrary to Indian foreign exchange regulations. Arbitration in India: a pro-arbitration approach? 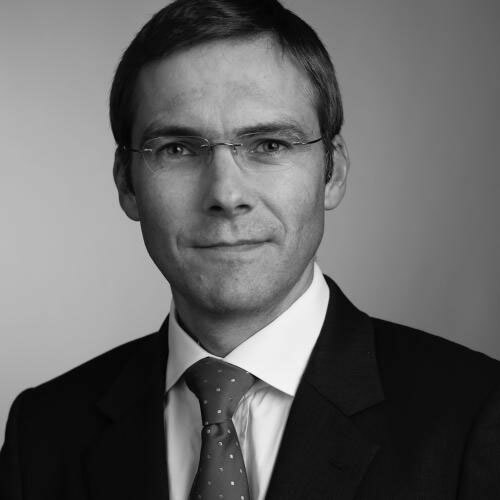 Nick Peacock, Head of the India Disputes practice at Herbert Smith Freehills speaks with Moazzam Khan (Co-head International Dispute Resolution Practice at Indian law firm, Nishith Desai Associates) to discuss the current approach taken by the Indian courts towards arbitration. Nick and Moazzam discuss the arbitrability of certain types of disputes in India. They also look at the question of delay in the Indian courts and the impact this can have on arbitrations where the Indian courts become involved. For more information, please contact Nicholas Peacock, partner, or your usual Herbert Smith Freehills contact.